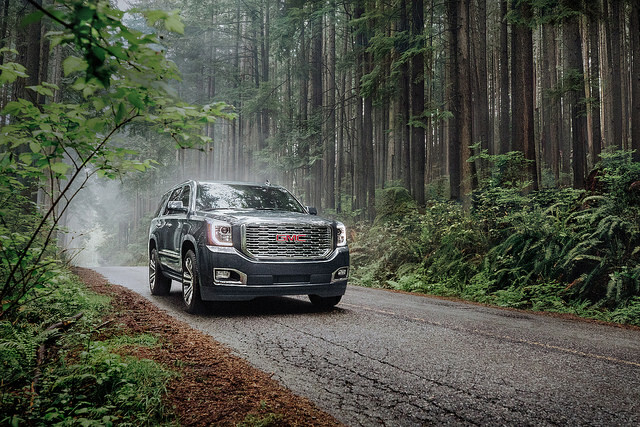 While some SUVs focus on comfort and technology over practicality and performance, the 2019 GMC Yukon XL Denali isn’t one of them. This full-size SUV offers capacious cargo space, potent energy, advanced tech, and luxurious features to suit modern families. Even with all three rows of seating packed, the 2019 GMC Yukon XL Denali can accommodate an additional 39.3 cubic feet of cargo. Fold the rear-most seat flat to expand this dimension to 121.7 cubic feet, to store luggage, groceries, sports gear, and more. The 2019 Yukon XL Denali doesn’t skimp on power, either. It’s equipped with a potent 6.2-liter V8 engine that generates 420 horsepower and 460 lb-ft of torque, giving you enough go-power to tackle challenging terrain and road conditions. And a towing capacity of 7,900 pounds means that you can bring along a trailer or camper to enhance your family’s next getaway. A head-up display will help the driver keep their eyes on the road and hands safely on the wheel. Active noise cancellation technology will help mute road noise to optimize the high-clarity sound of the 10-speaker surround sound system. Bluetooth® streaming audio allows you to connect with contacts while on the go. USB ports and four 12-volt power outlets will enable your crew to keep their electronics charged on the journey. The 2019 Yukon XL Denali offers the opulent amenities you would expect for a top-of-the-line trim. Signature Denali chrome grille and accents add a modern vibe for the exterior. Inside, perforated leather front seats and heated second-row seats enhance passenger comfort. Mastique Ash wood grain accents add a lavish touch to the cabin. The best way to experience the attributes of the 2019 Yukon XL Denali is firsthand. Bring your family to Bradshaw Chevrolet to test-drive this multi-tasking luxury SUV for yourself. 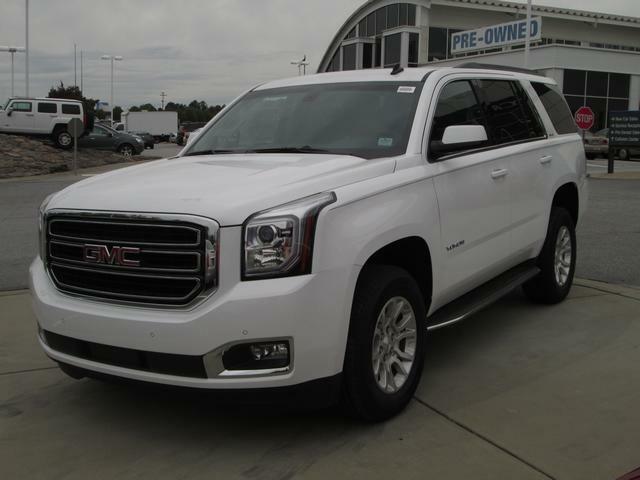 The completely redesigned 2015 GMC Yukon SUV is available for test drive and purchase right now at Bradshaw Chevrolet Buick GMC Cadillac in Greer, South Carolina! Test drive a redesigned 2015 GMC Yukon today at Bradshaw Chevrolet Buick GMC Cadillac! 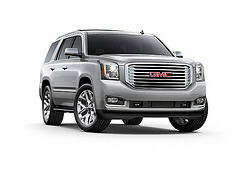 The all-new GMC Yukon, for years a great choice in a powerful and spacious full-size SUV, has been completely redesigned for the 2015 model year. The redesigned Yukon is improved in all the right ways: it has a better fuel economy, more intuitive and useful technology, a reshaped exterior and a more powerful engine. Available in a great selection of trim levels, including the top-of-the-line Yukon Denali, the 2015 GMC Yukon is sure to impress all full-size SUV drivers! 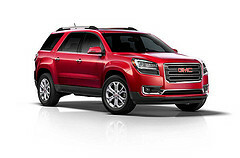 For more information on the 2015 GMC Yukon, including specs, features and trim level options, visit GMC’s official website. You can also head over to Bradshaw Chevrolet Buick GMC Cadillac’s website or stop by our Upstate South Carolina dealership to learn about our growing selection of 2015 GM cars, which now includes the Yukon, Suburban, Tahoe and Silverado 2500! Our wide new and used car inventory also includes many 2014 Chevrolet, Buick, GMC and Cadillac cars, trucks and SUVs! Visit us today for a test drive. Stay tuned to Bradshaw’s blog and Facebook page for more information on upcoming 2015 cars!